Click here to see pictures of our County Senior Hurling Championship Semi Final against Ballygunner. Many thanks to Seán Byrne Photography for providing us with the photos. This week's photo brings us back to 1972 and the presentation of the Ned Lonergan Cup to Abbeyside captain, John Regan by Bord na nÓg Chairman, Michael Calloo following the Village side's tight 1-3 to 1-2 victory over Roanmore at Cappoquin in the U14 County Hurling Final. This was the first county title won by the club at this grade. Congratulations to Abbeyside Junior Hurlers and Mentors on their superb 1-14 to 4-3 victory over Brickey Rangers in the Western Junior Hurling (Intermediate Attached) Final played at Fraher Field this evening. Our popular Jack the Joker Fundraiser will continue this Sunday night in Kennedy’s Live where the Jackpot will be €4,456 as on Sunday night Michael “Cowboy” Cosgrave was drawn out of the drum and picked card 11 but did not find the Joker, yet he did win €50. Michael Daly and Bernie Lonergan won €25 each. On Saturday night last we defeated St. Saviours in the quarter final of the County Championship in Carriganore. We have been drawn against The Nire in the Semi Final. TEAM: S. ENRIGHT, B. LOOBY, S. BRIGGS, R. SHEEHAN, J. HURNEY, S. O’HARE, C. MOLONEY, G. HURNEY, J. O’MAHONY, M. FIVES, M. FERNCOMBE, M. O’HALLORAN, P. HURNEY, J. O’BRIEN, M. GORMAN. SUBS: R. FOLEY, J. POWER, S. O’DONOVAN, G. BREEN. This Friday night we play Brickey Rangers in the Western Final in Fraher Field at 7 pm, and all support would be greatly appreciated. We play Ballygunner in Walsh Park this Sunday at 3:30 pm in the Semi Final of the County Championship. Our Bingo continues this Sunday night in the CBS Hall where the jackpot is €1600. Please note that we will be holding a Table Quiz in Minnies Bar on Saturday night, September 28th at 8pm to raise some much needed funds for the club and we ask all our supporters to please support this as best you can. It promises to be a great night’s entertainment as these quizzes are always enjoyed by all who partake. The past fortnight has seen a huge amount of work carried out on the development of our new club pitch. It has now been fully leveled and seeded to a very high standard and will be a fantastic asset to the club in the years ahead. Saturday morning there was a wonderful turnout of club members to help with the unglamorous task of picking stones off the land surrounding the new pitch. It was great to see this display of club spirit as members from all generations turned out to lend a hand, from young Tom Looby up to some of our longer standing members, especially Larry Cliife and Eddie Cashin who carried out similar work on our present Club Pitch and indeed on our old club pitch at Mrs. Cliffe’s many years ago. Welcome refreshments were provided by Mary Gorman and Mary O’Hare with the arrival of the bottles of coke giving our school’s coach a new lease of life, after his morning’s exertions. Also at present our volunteer group of electricians are working on the installation of flood lighting the new ball alley, which they hope to complete in the next fortnight. Whilst this voluntary labour has helped reduce the cost of our present development work the club has still faced a huge outlay of money this year between building the ball alley, purchasing our new pitch and developing it. This would not have been possible without the generous support of our members and supporters who contribute to our Development Scheme, Deise Draw and Jack the Joker. We would ask that if there are any other members who are not currently supporting the development scheme and who may be in a position to do so, to please contact and Committee Member and they can arrange for you to join up. It is only with the continued support of ALL our members that we can continue to develop our facilities to the highest possible standards. Last Thursday night saw us play our second game in the U16 county championship against Cois Brid in Abbeyside. The lads secured their second win here. On the night Cois Brid player John Paul Lucey sustained a broken jaw in an accidental challenge and all in the club wish to send their best wishes to John Paul and hope to see him back playing with his club in the near future. Our minor hurling team completed their hurling season on Sunday morning last at De le Salle. From the beginning this was a tough campaign and while defeat was our lot again on Sunday the lads showed great battling qualities throughout as they did the whole way through the championship. Well done to everyone involved and a big thanks must go out to the manager and selectors of this team. One of our under 13 players Michael Kiely fresh from playing in the Under 13 County Final on Saturday, had the honour of playing in the Mini 7’s Football in Croke Park on Sunday at half time in the All Ireland. This was brilliant experience for this young player. Our under 13 panel travelled to Walsh park on Saturday morning for the hurling county Final against the eastern champions Mt Sion. They started very well and had a few quick points on the board in the first few minutes and led at half time 7pts to 1pt and playing very well with the breeze. In the second half they lifted the tempo even more and were hurling very well with a great team performance. They ran out comprehensive winners 2-11 to 0-4. Panel: Eoin Ahearne, Eoin Flynn, Meldan O’Dwyer, Cian Fagan, Sean Kent, Shane Kiely, Seanan Travers, Dean Beresford, Daithi Brunnock, Jamie Walsh, Ben Flynn, Danny Reynolds, Cian O’Riordan, James Riordan, Michael Kiely, Barry Morrissey, Ethan Raher Daniel Raher, Oisin Hallahan, Michael Troy, David Shields, Sean Roche, David Hayes. Wednesday we started the Under 13 football championship against St. Oliver’s and had a good start and won 3-7 to 3-4. Next game in the football is against An Ghaeltacht next Saturday. Our U12 football team also played last Monday against Brickies where our boys played well and recorded a good win. Next up here is at home to St. Oliver’s on Wednesday 15th. Next Saturday morning should be buzzing with excitement at the Burgery as our annual Danny Lenihan Day is taking place. This is an inner club tournament played every year for under 7, 8, 9 and tens. On the day there will also be other cups competed for namely the Lanigan, Langan, O Shea, Flynn and Higgins as well as the Danny Lenihan Cup itself. This should be a great morning and everyone who would like is welcome to come along. There will be light refreshments provided. Recently, development work began on our new club pitch. Click here to see the fantastic progress that has been made in such a short space of time. Many thanks to all for the voluntary work on Saturday and to those who provided the refreshments. Back Row (L to R): Dennis Byrne, Ronan McCarthy, Gary Hurney, John Phelan, Robin Keane, Séamus Sheehan, Gary Lyons, Martin Lavan. Front Row (L to R): Eoin Hayes, Éamonn Cashin, Paudie Morrissey, Garvan McCarthy, Joe Thompson, Brian Hayes, Richard Enright. 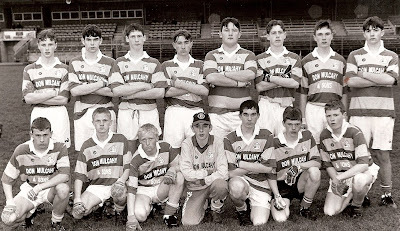 This week's photo shows the Abbeyside U16 team that beat Dungarvan 4-3 to 1-3 in the 1996 Western Football Final at Fraher Field. Our new ball alley was completed recently. We believe this wonderful new facility will prove hugely beneficial for our club in the years ahead. It has been great to see such large numbers using the alley since it opened and we hope this will continue into the future. Click here to see photos of the construction from beginning to end. Click here to see photos of our County Senior Hurling Championship Quarter Final victory over Fourmilewater at Fraher Field on Sunday last. Once again, many thanks to Seán Byrne Photography for these pictures. Our popular Jack the Joker Fundraiser will continue this Sunday night in Kennedy’s Live where the Jackpot will be €4,228 as on Sunday night Ann Lawlor was drawn out of the drum and picked card 24 but did not find the Joker, yet she did win €50. Michael Kiely and The Morning Club won €25 each. We recorded a very good win over Shamrocks on Sunday morning last in the Western Championship semi final and we now advance to Western Final where we take on Brickey Rangers. TEAM: J.P. McGRATH, A. O’RAGHNAIGH, P. BREEN, D. FERNCOMBE, R. SHEEHAN, L. BERESFORD, C. ENRIGHT, B. HENLEY, M. MAHER, O. YOUNG, R. RYAN, S. FLYNN, K. KELLEHER, I. KIELY, G. FLYNN. SUBS: S. LANIGAN, M. FLYNN, S. KIELY, S. BURNS, M. RAHER. On Sunday evening last we produced a good display of hurling and team work which saw us defeat Fourmilewater in the Quarter Final of the County Championship, we now meet Ballygunner in the Semi Final of the County Championship. We would like to thank the Formilewater club for their assistance in changing the time of our game due to the tragic circumstances which struck our club over the weekend. TEAM: S. ENRIGHT, S. O’DONOVAN, S. O’HARE, J. POWER, J. HURNEY, J. GORMAN, M. POWER, R. FOLEY, D. COLLINS, M. FIVES, G. BREEN, G. HURNEY, M. GORMAN, P. HURNEY, M. FERNCOMBE. SUBS: S. BRIGGS, C. HICKEY, M. O’HALLLORAN, S. CROTTY, T. HANRAHAN. This Saturday night we play St. Saviours in Carriganore in the County Quarter Final at 7:00pm. Our Bingo continues this Sunday night in the CBS Hall where the jackpot is €1550. On behalf of all in the club we would to congratulate Patrick Hurney who was awarded The Granville Hotel / WLR FM Sports Star for the month of August. Patrick was chosen for his performances in the County Championship Games against Roanmore and Dungarvan and it is a great honor for Patrick, his family and all in the club. Please note that we will be holding a Table Quiz in Minnies Bar on Saturday night, September 28th at 8pm to raise some much needed funds for the club and we ask all our supporters to please support this as best you can. The past weekend saw the passing of two of our former players, both of whom gave great service to our club on and off the playing fields. On Thursday night we learned of the sad passing of Richie Duggan and hours later news broke of the death of Felix Shields, both deaths leaving the family friends of Richie and Felix in a deep sense of shock. Richie Duggan began playing with our underage club in the early 1980’s at a time when our hurling fortunes were at a low ebb. 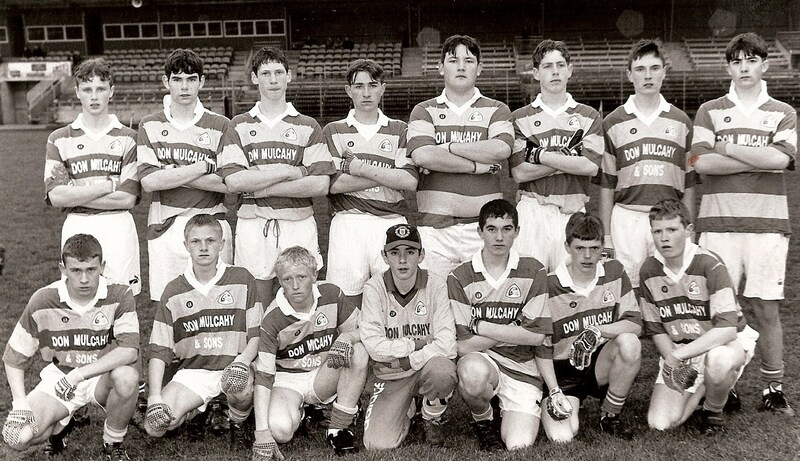 However thanks to the hard work and dedication of many people in the club things began to change slowly but surely and in 1991 Richie was a member of the Minor Hurling team that defeated Portlaw in the County Final, ending a long wait for a Hurling County Title in the club. A player of great commitment and no little skill Richie continued to play adult for the club in the years that followed and his connection to the club is maintained by his son Jack who is a valued member of our Minor and Intermediate Hurling teams at present. The affection that Richie was held in by many people in the club was evidenced by the huge numbers who turned up to pay their respects on Sunday and Monday last and whilst he will be missed by all who knew him he will be especially missed by his wife Donna, his children Jack and Ava, father John Michael, brother Paul and sisters Angela, Marie and Oliviere. We send our deepest sympathies to all of Richie’s family and friends. For many many years the Shields name has been part and parcel of our club as since Paddy Shields first got involved in our club, generations of the family continue to work for the club. Felix Shields certainly continued this family tradition throughout his playing career and indeed after he had retired from the playing fields. 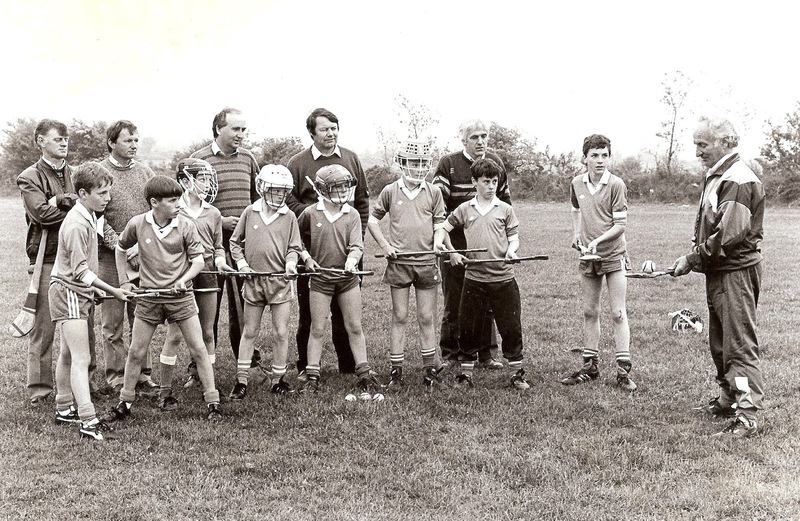 Whilst he will be best remembered as being a member of the Ballinacourty team of 1978 that claimed a historic first county title, Felix was equally at home on the hurling field and was a member of teams in both codes in the club form the 1960’s on. Felix was a member of our great Under 21 sides of the late 1960’s and early 1970’s that saw them win three Western Football Championships, two County Championships and one Western Hurling Championship. 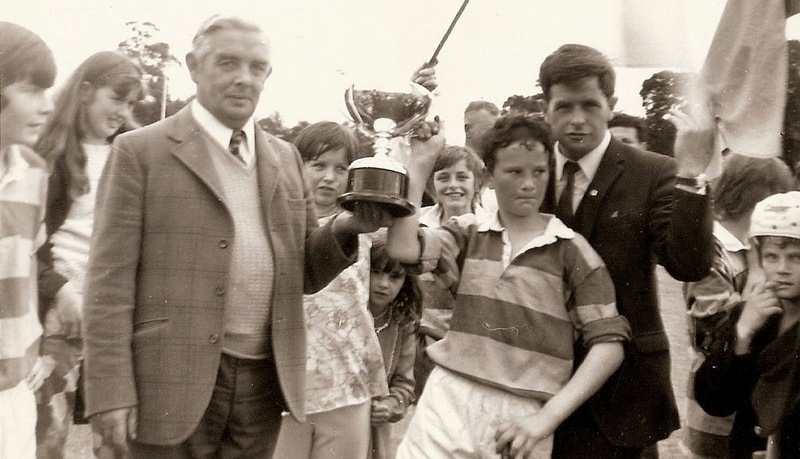 Felix was a mainstay of the Ballinacourty team throughout the 1970’s that came so close to making the breakthrough on numerous occasions, before finally claiming that first County Title in 1978 with victory over Clashmore in the Final. In 1979 the County Title was retained after victory over Ferrybank in the County Final with Felix once again wearing his favoured number four jersey. Unfortunately the three in a row was foiled in 1980, but in 1981 when the Conway Cup returned to Ballinacourty, Felix was once again an integral part of the efforts. Felix was a passionate Abbeyside man, living in Murphy Place for many years and serving as Troop Leader of the 4th Waterford Abbeyside Scout Troop for a number of years too. Felix passed on his love of the club to his own children and his son Ciaran won Under 16 and Under 21 County Titles with the club as well as playing on adult teams in both codes. There was a constant stream of club members calling to his sister Rita’s house on Saturday and Sunday to pay their respects to one of our great players where many stories were exchanged many recalling the fine performances Felix gave in the club jersey. On Monday as he was brought to his final resting place in Ballinroad, where his son Eoin had been previously laid to rest, club members formed a fitting and deserved guard of honor for a former club great. We send our sympathies to all Felix’s family and friends but especially to his daughters Niamh and Nollaig, sons Ciaran and Eamonn, his sisters Kathleen, Brid, Margret and Rita and to his brother Bernard. We would also like to send our sympathies to the family and friends of the late Tommy O’Mahony, Fenian Place, who passed away recently. Tommy’s son Tomas played underage football with the club for many years and won a Minor Football County Title with the club in the 1980s. Our U8 panel travelled to Roanmore for their annual charity hurling blitz on Saturday 14th. We entered two teams with the first group playing De La Salle, Cloughbawn (Wexford) and Glenmore (Kilkenny). The second group came up against Passage, Rathgarouge / Cushinstown (Wexford) and Midelton (Cork). Medals were presented to the lads by Robert Frost, Munster Council and Tom Cunningham, Waterford County Chairman. A big thanks goes to the Roanmore club for an excellently run blitz. The boys had an extra surprise when county minor stars Kevin Daly and Austin Gleeson arrived and had photos taken and hurlies and jersey's signed. Well done boys you all played great hurling on the day. Visit the club website for pictures of the day. Our Under 13 hurlers were due to play their county final against Mount Sion on Saturday morning last at Walsh Park. Due to deaths in our club this match did not go ahead however and should be played this weekend instead. Best of luck to everyone involved. Our U8 and U9 panels travelled to Waterford on Saturday to take part in the annual Roanmore Charity Blitz. Click here to see photos of the event. Due to a bereavement in our club, throw in time for tomorrow's County Senior Hurling Championship Quarter Final v Fourmilewater has been brought forward to 4:30pm in Fraher Field. This week's photo shows Peter Power giving a coaching session to young players at our club grounds in the mid 1980s. Included in the picture are Peter Flynn and Patrick Ryan. Our popular Jack the Joker Fundraiser will continue this Sunday night in Kennedy’s Live where the Jackpot will be €4,000 as on Sunday night Mary Rossiter was drawn out of the drum and picked card 25 but did not find the Joker, yet she did win €50. Jim Egan and Michael Raher won €25 each. 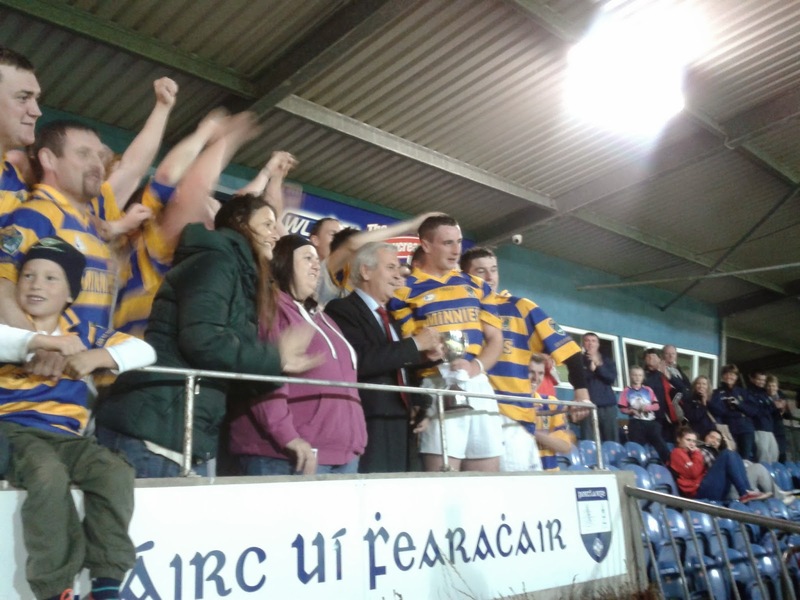 We recorded a very good win over Glen Rovers on Friday night last in the Western Championship. This Sunday we play Shamrocks in Cappoquin at 12pm. Despite the absence of a number of players due to injury and other commitments our under 21 team recorded a very good win over Cappoquin on Wednesday night last in Fraher Field. We now play Dungarvan in the Semi Final of the Western Championship. TEAM: L. POWER, P. COLLINS, B. LOOBY, S. O’CONNOR, L. BERESFORD, C. KINDREGAN, R. SHEEHAN, M. MAHER, B. HENLEY, O. YOUNG, D. COLLINS, R. PROCTOR, J. DUGGAN, S. FLYNN, M. RAHER. SUBS: S. CLIFFE, E. BERGIN. We play Fourmilewater this Sunday evening in the quarter final of the County Championship in Fraher Field at 6pm. Our Bingo continues this Sunday night in the CBS Hall where the jackpot is €1500. On behalf of all in the club we would to congratulate the players and team management of the Waterford Minor Hurling team on their fantastic victory in the All Ireland Final on Sunday last. The team played marvelous hurling on the day and their performance brought great joy to all supporters of Waterford in Croke Park, at home in Waterford and indeed throughout the world. Congratulations to our under 13 hurling team who defeated St Oliver’s in the final of the Western Hurling Championship Division 1 on Saturday morning last .They now go on to play this Saturday in the County Final and best wishes are sent to everyone involved. Our under 16 football team were due to play Cois Brid on Monday night week in Knockanore. However due to the opposition not being able to field a team on the particular night this game will be played at a later date during the year. We would like to wish Ryan Daly a speedy recovery from a recent operation and hope to see him back playing with the club shortly. 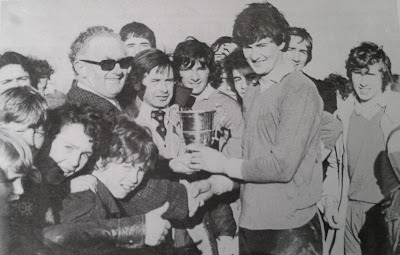 This week's photo comes from 1976 and shows County Board Chairman, P. Ó Fainín presenting the County Minor Football trophy to Abbeyside captain, Raymond Fives following his side's 4-9 to 0-5 victory over Cúchulainn at Walsh Park. The championship that year produced wins over Stradbally, Brickey Rangers, St. Michael's, the Nire and a Western Final defeat of Affane culminating in the County decider with the Eatsern Champions. Our popular Jack the Joker Fundraiser will continue this Sunday night in Kennedy’s Live where the Jackpot will be €3,790 as on Sunday night Michelle Foley was drawn out of the drum and picked card 52 but did not find the Joker, yet she did win €50. Kathleen Murray and Pakie Hurney won €25 each. We play Mellary this Friday night at 6:30 pm in Colligan. On Sunday last we played Brickey Rangers in Fraher Field in our final game of the group stages of the Championship and came away with a good victory. We now play St. Saviours in the County Quarter Final in three weeks time. TEAM: S. ENRIGHT, D. COLLINS, R. SHEEHAN, S. BRIGGS, B. LOOBY, S. O’HARE, P. LYNCH, G. HURNEY, C. MOLONEY, M. O’HALLORAN, M. FERNCOMBE, S. O’DONOVAN, P. HURNEY, J. O’BRIEN, M. GORMAN. SUBS: M. LAVAN, J. POWER, J. RYAN, G. BREEN. It was good to see that the arrival of baby Eabha and the sleepless nights hasn’t affected the performances of Jason O’Brien as he scored a valuable goal in our victory over the Brickeys on Sunday. On behalf of all in the club we congratulate Jason and Clodagh on the birth of Eabha last week. We play Cappoquin tonight, Wednesday September 4th at 7:30pm in Fraher Field. Our Bingo continues this Sunday night in the CBS Hall where the jackpot is €1450. We had one winner in the August Déise Development Draw on Friday last as Sarah Mullarkey won €150. Last week saw the completion of our Ball Alley complete with astro turf playing area. This will be a fantastic asset to the club for many years and it is the wish of all in the club to see it used to its maximum potential. We would ask any team manager who wishes to use the Alley for training sessions to please book it with Michael O’Donovan, and we ask all managers or players who are using it to please ensure that you lock the gate when leaving the alley. Further development work will commence shortly as our new pitch will be sprayed and seeded in the coming weeks showing that our club is committed to providing the best of facilities to the future generations of our parish. On behalf of all in the club we would like to wish the Waterford Minor Hurlers the very best of luck ahead of the All Ireland Final this Sunday. We would like to send our deepest sympathies to the family and friends of the late Tom Collender, formerly of Garranbane, who passed away in Dublin last week. Whilst Tom had lived in Dublin for some time he was very much an Abbeyside man and was a member of many Abbeyside Senior Hurling teams in the 1950’s. He was on the first Abbeyside Senior Hurling team that played Dungarvan in 1951 and he won a County Minor Football title in the same year. In 1954 he was on our team that played Mt. Sion in the County Semi Final and the following year he was on the team that were defeated by Mt. Sion in the County Final. Whilst Tom’s work took him away from Abbeyside he continued to support the club and was a very generous sponsor of the Juvenile Section for many years for which we were most grateful. Once again we send our sympathies to Tom’s family especially his wife Nellie, daughters Maureen, Helen and Rena and sons Hubert and Mark.